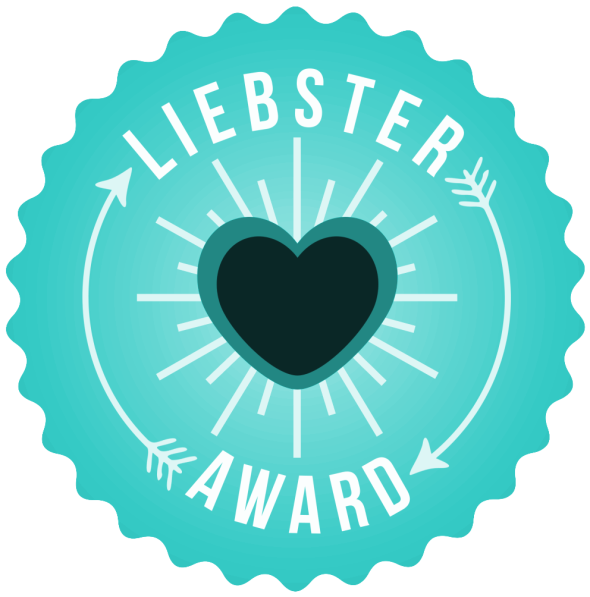 I'm quite chuffed about being nominated for a Liebster Award by Christiane and Jens from sowearehome. Their blog has gorgeous photos that really complement their posts about finding and being home. I encourage you to check it out! Thanks so much for the nomination guys! I will admit that I hadn't heard of the Leibster Award prior to reading my nomination. That made it even more exciting for me. I have needed a couple of weeks to get my response together. It was good fun reading through blogs to find my nominees. I learned more about blogging at the same time. Technology is (ahem) definitely not my strongest point so exposure to different sites is always helpful. Lizzing Lightly. A 34 year old wife and mum. A big environmentalist who strives to learn about, and try, new things to reduce my impact on the environment. I love spending time with people but also enjoy time to myself doing yoga, cooking, creating stuff, reading and (more recently) writing. 2. What is something people would be surprised to know about you? I was an unruly teenager who left home for the first time at 15 years of age. 3. What do you blog about and why? Living sustainably to reduce my families impact on the environment through gardening, food, responsible purchasing, and various other things. I chose the broad theme of sustainability because it is becoming increasingly important as more people live in cities and the environment becomes more removed from our daily lives. I believe humans are in control of so much of what happens to our environment. The more we change our behaviour and think about the environment, the better or more healthy our environment will be. 4. What is the story behind your blog name? Lizzing Lightly is a play on living lightly, which is about stepping lightly on the earth. 5. What is something you have been loving lately? Blog: learning more about decluttering my home. Personal: spending time with my family. Perth local AM radio to try and find out what is going on in the world! Otherwise a Play School CD in the car. Music has definitely taken a back seat in my life at the moment. 7. Where would you want to travel next? I would love to travel to the UK, Paris and Amsterdam next but since that is not logistically possible at the moment we are going to Bali for a short trip instead. I am looking forward to relaxing and learning about the Balinese culture. 8. What is your favourite food and would you mind sharing (a link to) the recipe? I have too many favourites so I will share this link to my (slowly) growing list of vegetarian recipes. This includes lentil burgers and ricotta and kale sausage rolls. 9. What has been your biggest challenge? Blog: Finding time to work on it. Personal: Keeping focused on what is important to me. I am easily caught up in new ideas and thus can sometimes be easily distracted. My family, my pets, my friends, chocolate and a cup of tea at the end of the day, a romcom, witty and unusual moments of brilliance (from me or others). 11. What is HOME for you? Home is where I can relax, slow down and enjoy the important things in my life. Often that is in my house and garden but sometimes it is at the local park, at the beach or on a fun outing with family or friends. 2. What do you blog about and why? 3. What is the story behind your blog name? 4. What is your favourite post you have written so far? 5. What is the best thing you have discovered about yourself through blogging? 6. What is the most significant technological discovery you have made since you started blogging? 7. What is something you have been loving lately? 8. Where would you like to travel next? 9. What is your favourite recipe and would you mind sharing (a link to) it? 10. Do you consider yourself someone who cares about the environment? Why? If you accept this nomination it would be great if you could post a link to your response below.